Every 6 weeks or so it’s my Sunday school’s turn to bring food to church. Previously I made some yummy granola bars. 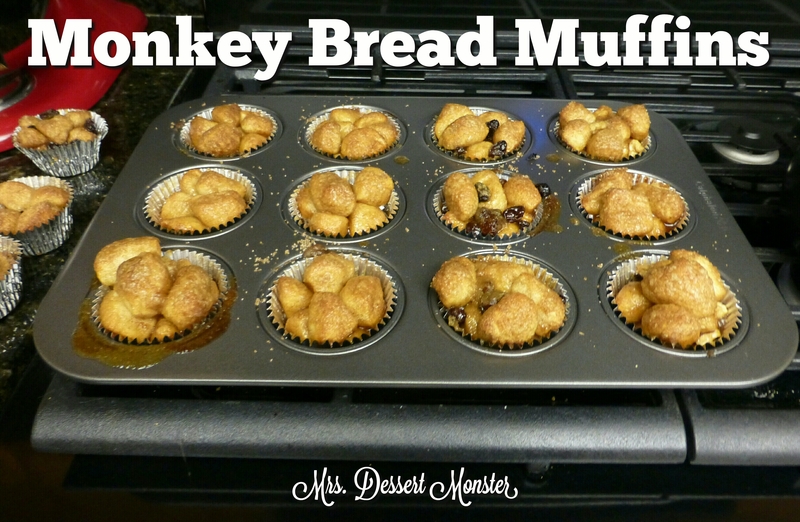 Last week I made these delicious monkey break muffins. This was my first time ever making OR eating monkey bread. I had never even heard of it before Pinterest. Don’t know if that’s a Cuban-American First Generation problem or some kind of regional thing or what. Now that I have made it & tried it I am hooked. These were so simple! I got this recipe from The Frugal Girls. The secret is refrigerated biscuit dough! Cut each biscuit in 6 pieces. Then shake them in cinnamon sugar. Put 8-10 biscuit pieces in each foil cupcake liner. Foil liners really are the way to go for these. I ran out & used some paper liners to finish the recipe, which I had doubled, & the results were super sticky. I made a little over 3 dozen muffins by doubling the recipe, so i’d say this recipe makes about 20 muffins. Add raisins, walnuts, whatever else your heart desires! I made a mixture – I like giving people options! I found it best if you put 4-5 biscuit pieces in, then sprinkle in the stuff & top off with more biscuit pieces. This way they raisins/whatever are not just floating on the surface, but nicely mixed in with everything else. I differed from the Frugal Girl’s recipe a bit by spooning 1 tablespoon of the brown sugar/butter mix over each muffin. 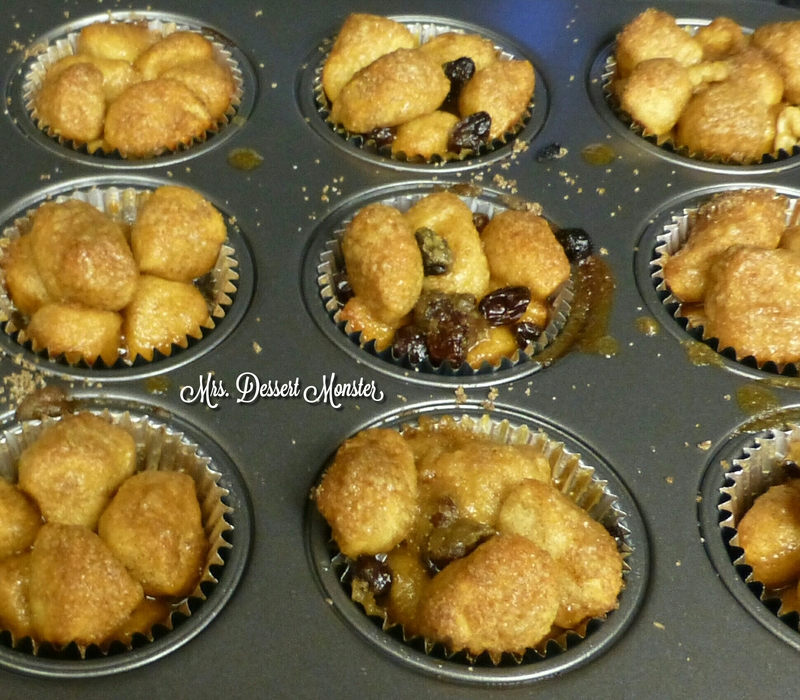 Buttery, sugary, chewy, soft, crunchy – in other words YUMMY! These were the talk of the day at church. Heat Oven to 350 degrees. Put foil liners into muffin tin. Mix white sugar and cinnamon in a plastic bag. 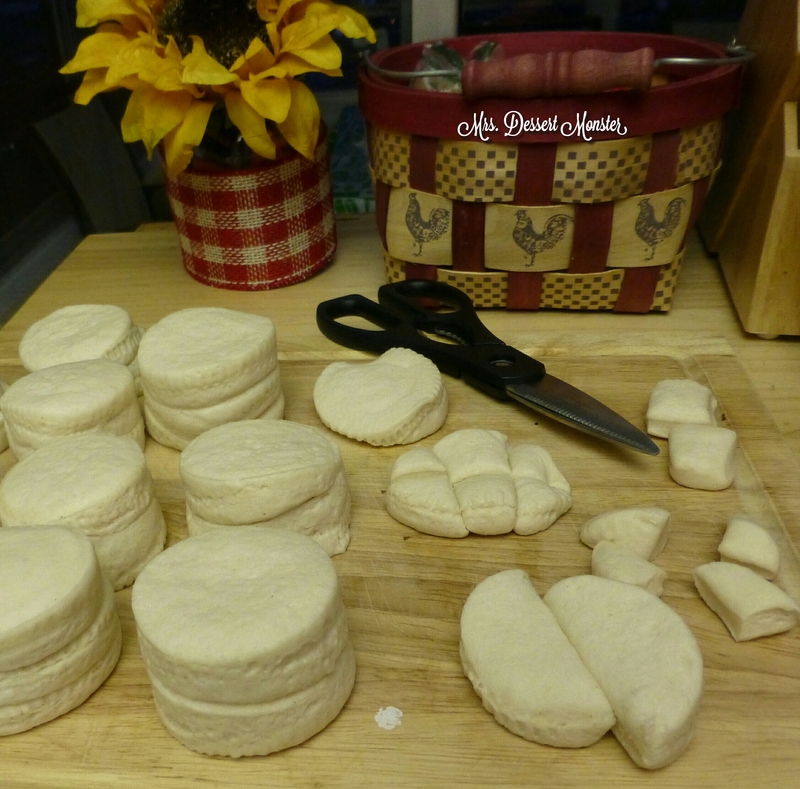 Cut biscuits into 6 pieces. Shake biscuit pieces in the plastic bag until covered in cinnamon sugar. Place 8-10 biscuit pieces in each foil liner. Add raisins or walnuts, if desired. In a small sauce pan, melt the butter and brown sugar over medium heat. Boil for 1 minute. Spoon 1 tablespoon of butter mixture over each muffin. Bake for 15-17 minutes. Cool & enjoy! I’ve never heard of monkey bread either. Looks absolutely delicious! Thanks! Maybe it’s just one of those recent Pinterest crazes, although my husband says he used to eat it as a kid. My mouth literally just dropped when you said you have never had monkey bread before. We ate it every Christmas morning growing up. What a world you’ve been missing. My version is made in a bundt cake pan with cinnamon, sugar, butter, and yes, canned biscuit dough. Oh Gina, this looks so delicious. I like monkey bread but most recipes yield way too much for my 3-person family. 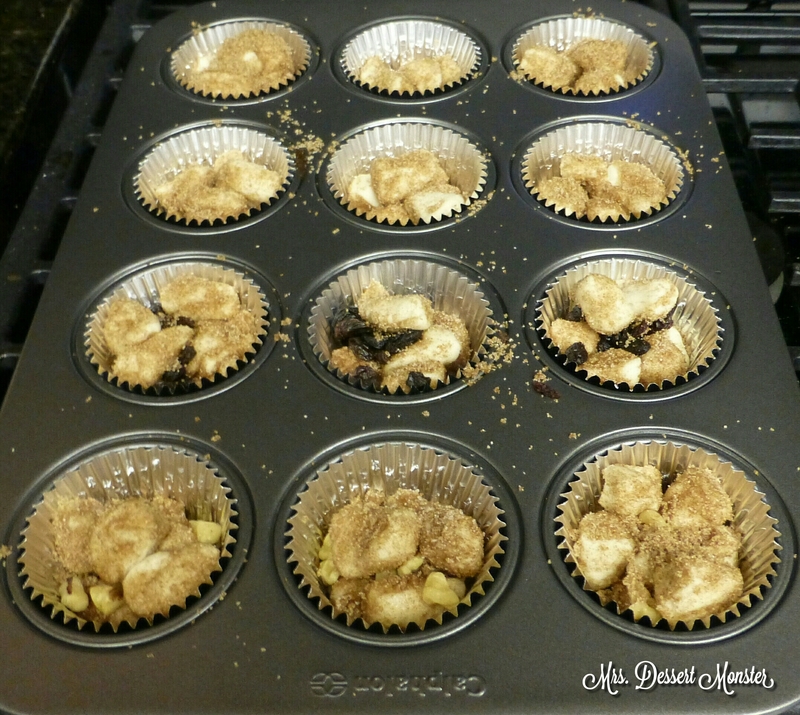 I love the idea of making small muffins instead. I can make a big batch, eat some and freeze the rest. Thanks so much for sharing at Inspiration Thursday! See you tonight for another party! Thank you! These are easy & convenient! I think they would freeze well & be just as yummy later! Just made these for breakfast and they were so delicious! The butter and brown sugar topping really makes them great.